Are you bold enough to wear animal print? How about a cheetah print cape? It’s a lot to handle. You have to have the personality to be able to carry the look without getting drowned by the loudness of the print. More importantly, though, is that you also have to know how to wear it – key word being how. Today, British artist and presenter, Myleene Klass will show you the right way to rock a bold and catchy cape. While Myleene is known for her musical prowess, people, particulary, fashionistas, are also quite fond of her sartorial sensibilities. She always looks extra good on and off the red carpet — which basically means that the lady can dress without the help of a stylist. 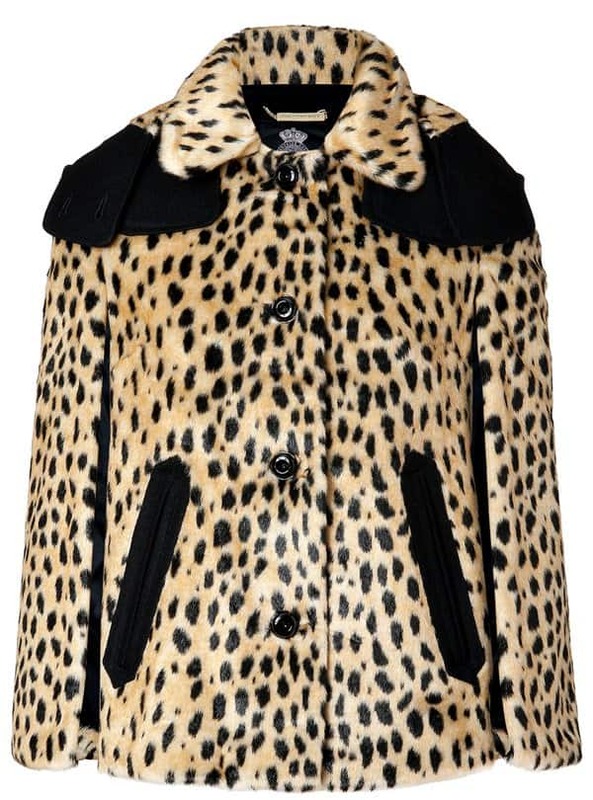 Last week, we spotted Myleene sport a topper that most women would probably shy away from — a cheetah print cape. For someone so petite, she managed to carry the cape with flair and own it. Would you like to know how? Well, as you can see, Myleene paired her statement cape with a very classic and neutral (non) color — black. Even her accessories (such as the hat, sunnies, and boots) were in black. If your topper comes in earth tones, you can tone it down with dark brown. If it’s in black-and-white zebra print, another option (aside from wearing it with black) is to wear it with white. Grey is also a good neutral to consider. 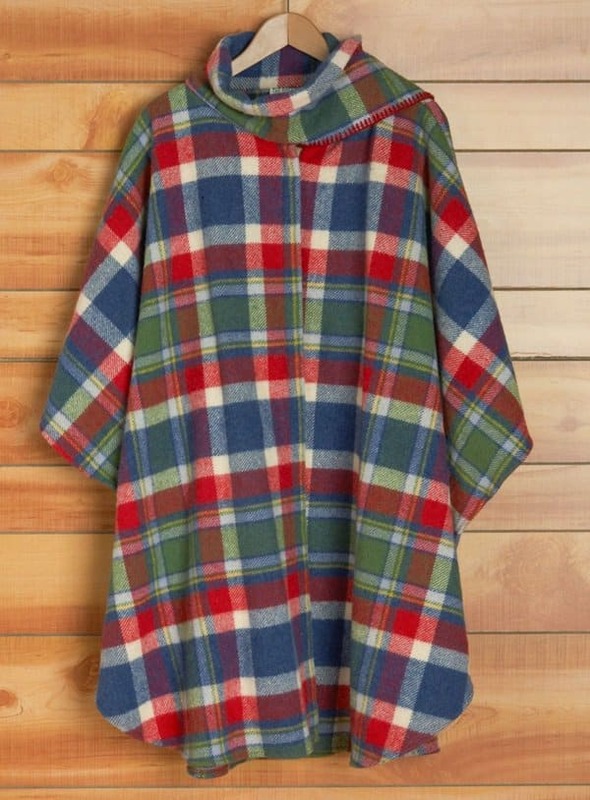 For capes that are printed with bright hues (reds, greens, blues), you can also try them with your classic blue jeans. 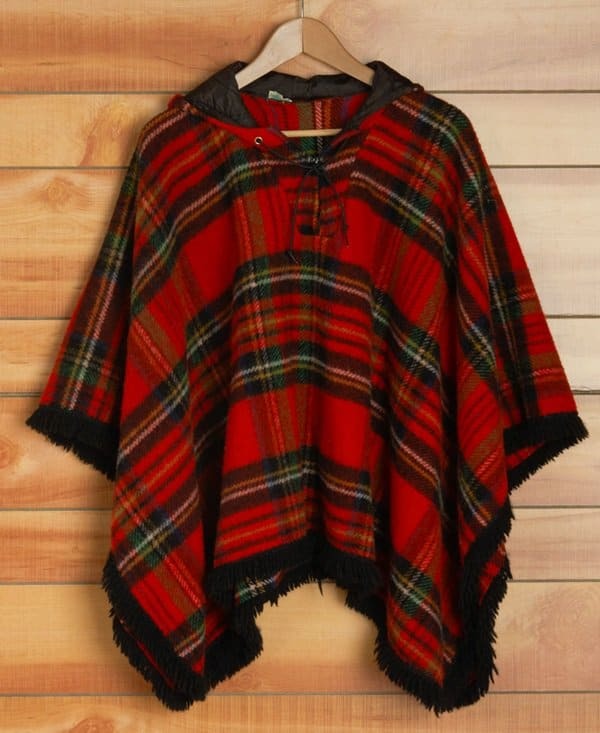 If you’re small like Myleene, wear your statement cape (or poncho) with high heels. Whether you prefer boots or pumps, that’s entirely up to you. But the idea is to look taller so you don’t look like you’re drowning in the print. Yes, of course you can still wear accessories with your statement cape. But, the key is to choose pieces that don’t clash with your ultra-fashionable topper. A dark hat, a pair of sunnies, and even a scarf would be some of the extras you can wear. Just make sure they complement each other. Last but probably the most important would be to make sure you’re confident with what you’re wearing. Once you get past that, the “attitude” will follow. Just check out the way Myleene carried her outfit. She knew she looked good and it showed by the way she smiled at the camera. 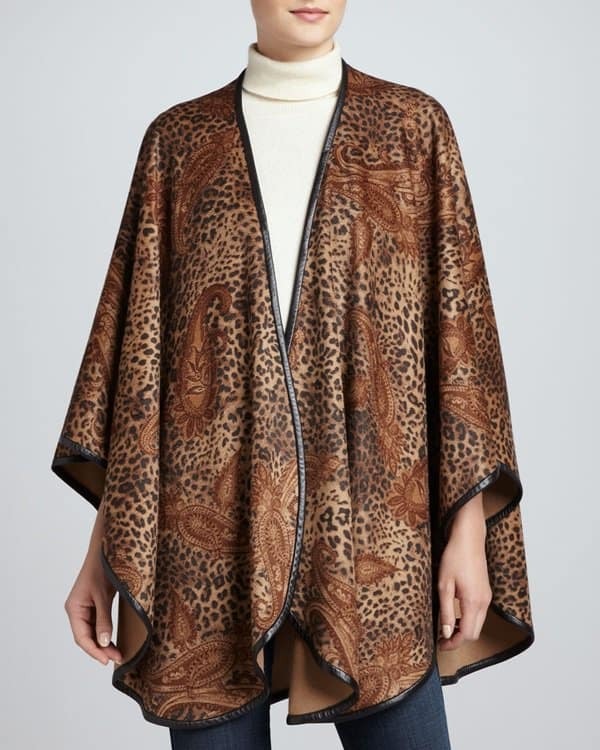 By the way, when we say statement capes, we don’t just refer to boldly printed pieces in cheetah, zebra, or leopard. 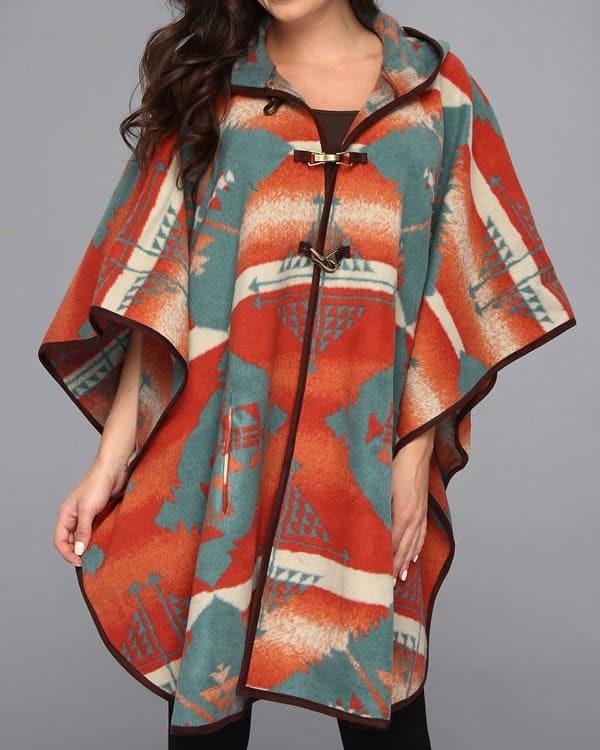 Statement capes can also include toppers in bright solid colors or those with colorful and heavy patterns. 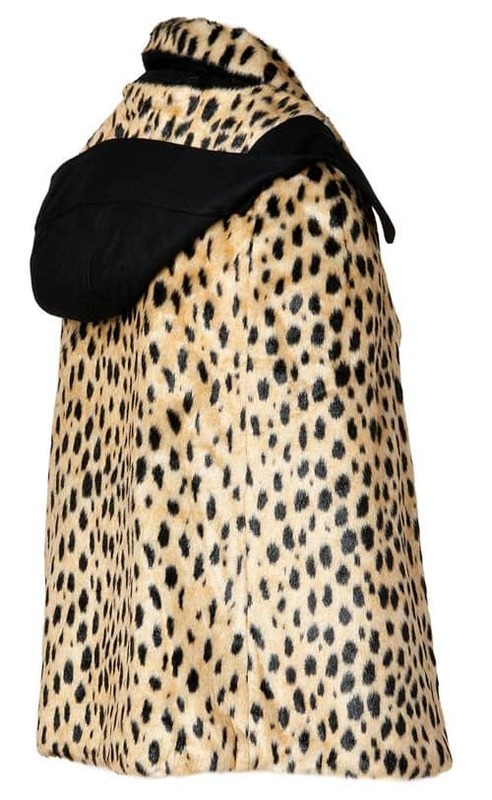 For those of you interested in grabbing Myleene’s catty cape, that one is from Juicy Couture. It is made out of faux fur (so no animal was killed for the piece) and features a detachable hood. It is also stylishly trimmed with black material for added contrast. This cape is an off season item so it is quite hard to find. However, if you’re a size Medium, Stylebop has one left, and it’s on sale too — down to $185 from $365. Lastly, for the ladies on a budget, check out these interesting patterned capes that won’t cost you an arm and a leg. A couple of these are vintage (therefore, with mild wear), but if you like them, we suggest you go ahead and snag them.